hehe this used to be my job ! Really super work. Of all your shots, this is my favorite. Clarity, saturated colors and lots of drama! Congrats on your 2nd ribbon! great shot, wayne!! congrats on a ribbon! excellent quality photo! congrats on 2nd place! Nice shot! I really like how you have included all of your subject in your composition. There have been too many shots that just show hands working or an instrument of some kind. 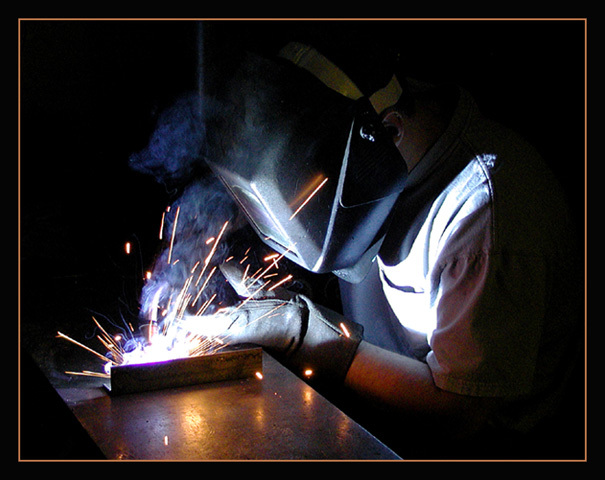 A classic welding shot. A real tough exposure challenge...but you got it right! Excellent shot and my only 10 this week (at least so far). However, I think you should lose the border but this seems to be trend those days - a matter of taste I guess. Nice idea for subject, like the resulting dark background. Good job. A very appropriate photo for this challenge, and very well done as well - 10. Proudly hosted by Sargasso Networks. Current Server Time: 04/20/2019 06:23:20 PM EDT.